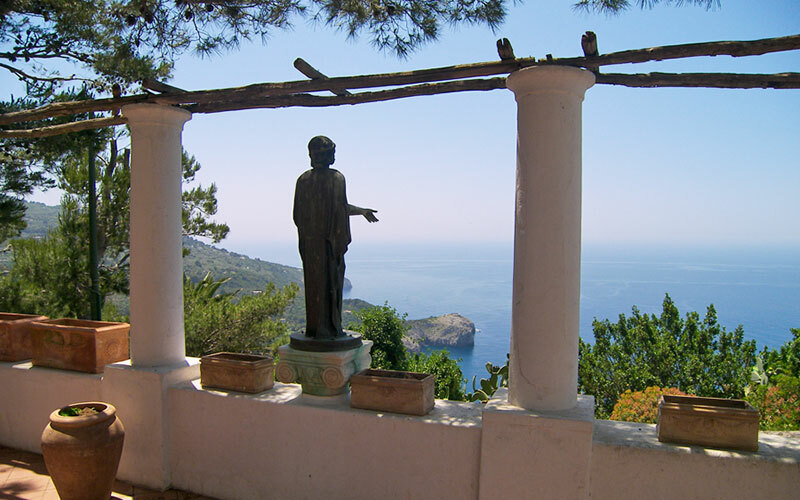 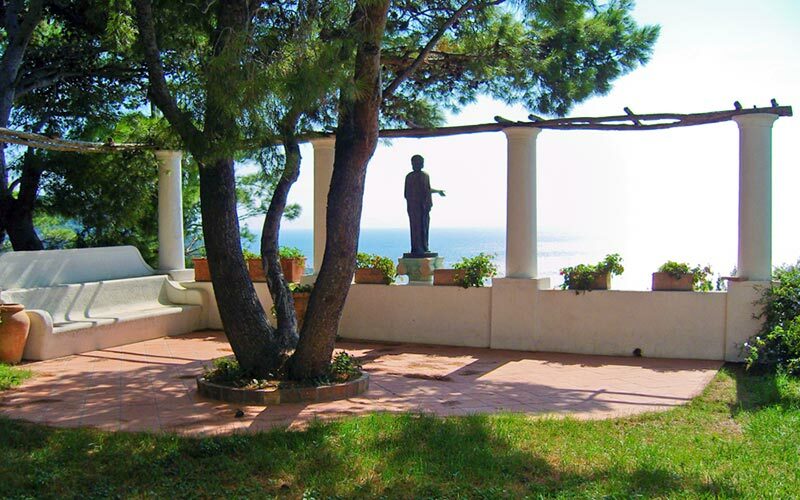 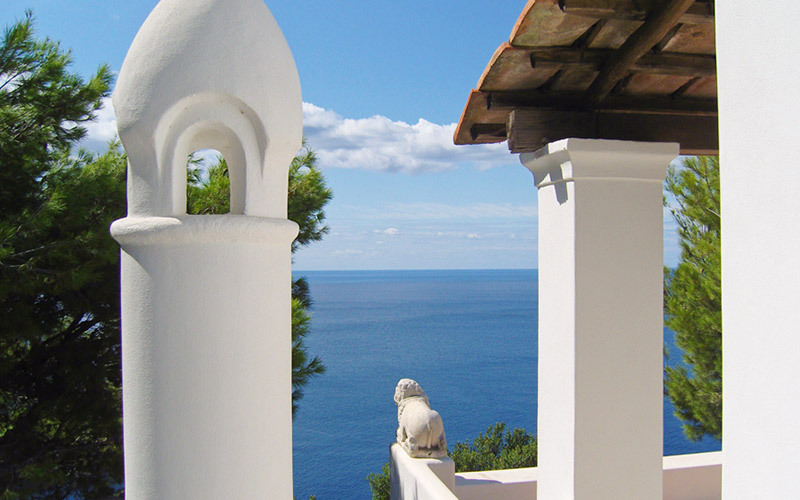 A classical colonnade, stone lions gazing out to sea, and a statue which once belonged to the Savoy family: just some of the treasures waiting to be discovered at Anacapri's Villa Alexander. 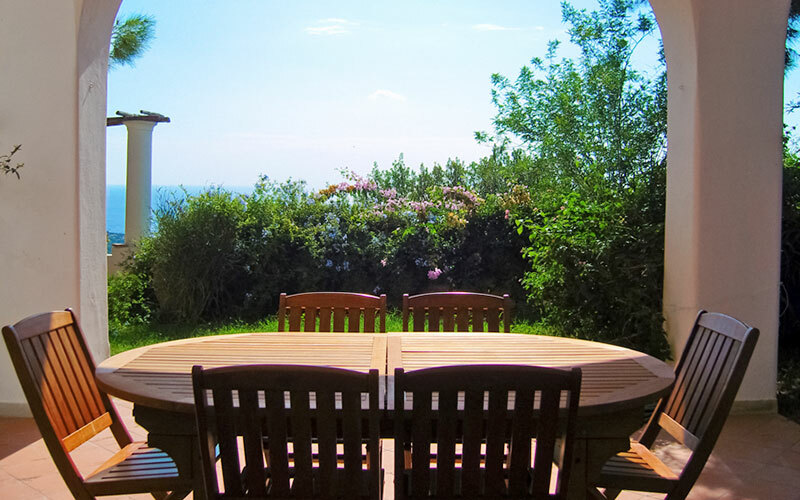 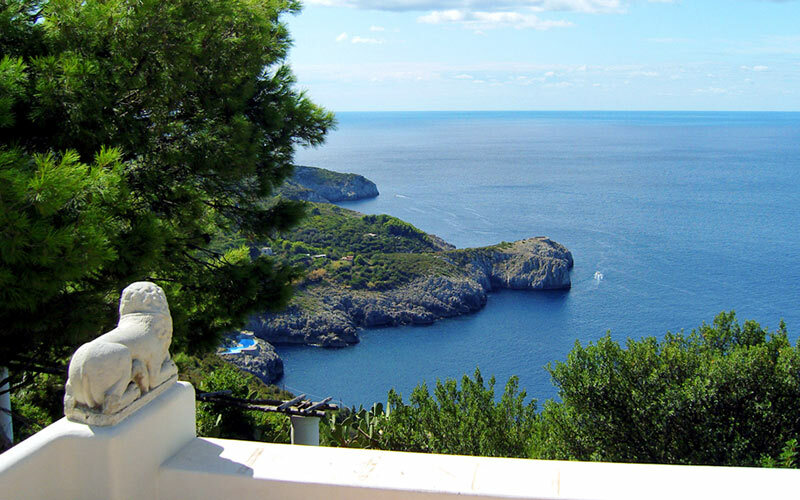 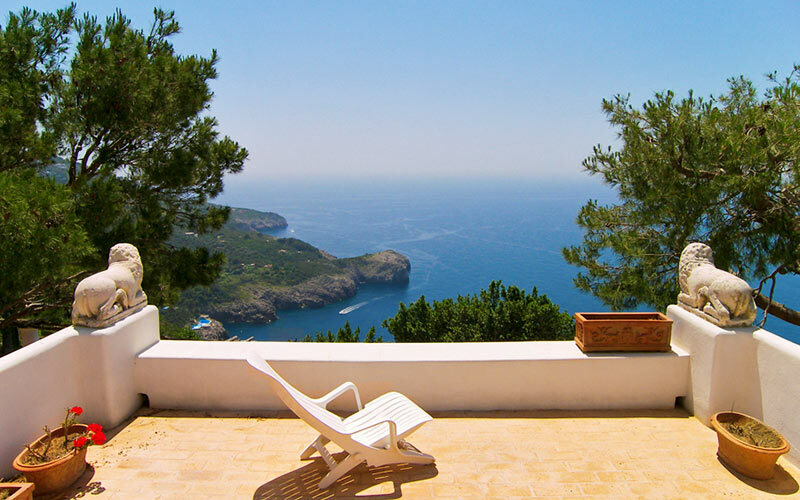 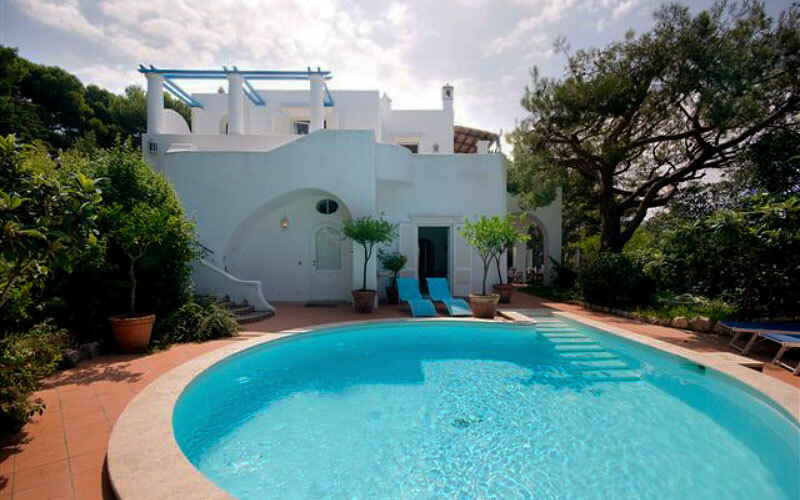 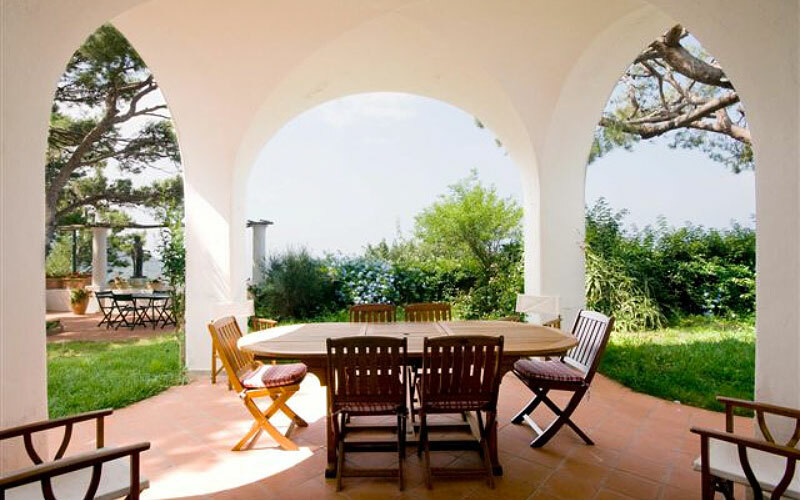 One of the most elegant and easily accessible properties on the whole of Capri, the villa is located close to the island's heliport and a bus stop. 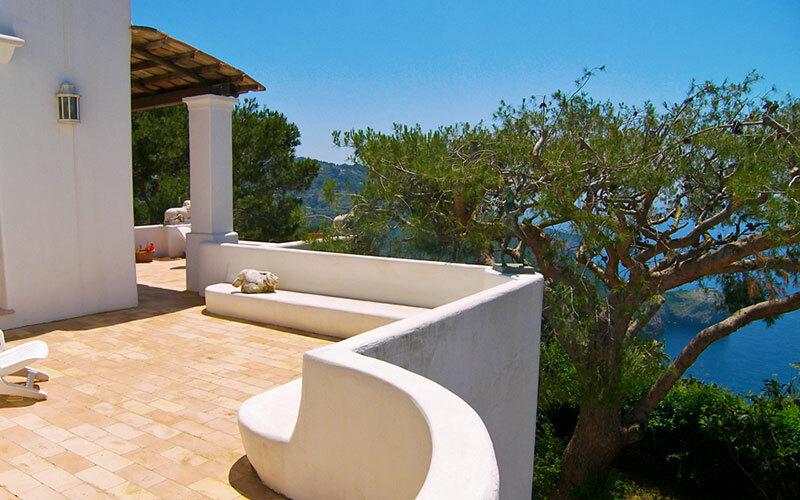 If you're travelling by taxi, your driver will be able to drop you off directly outside the villa. 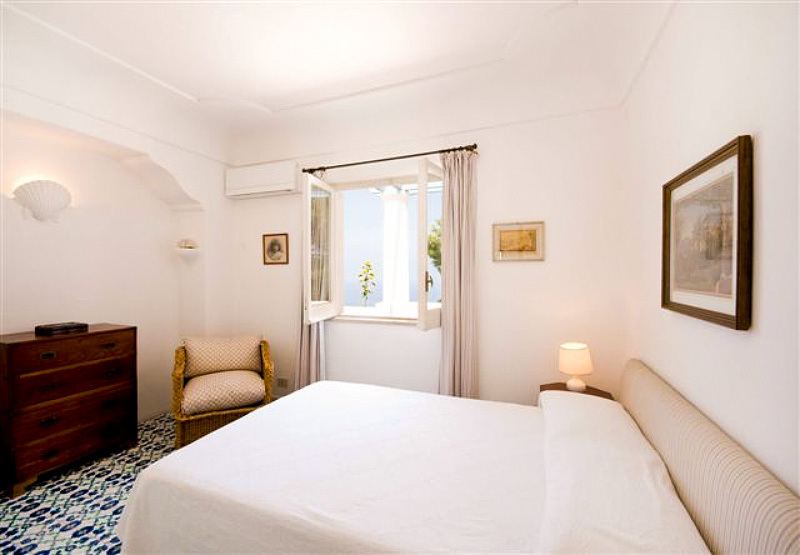 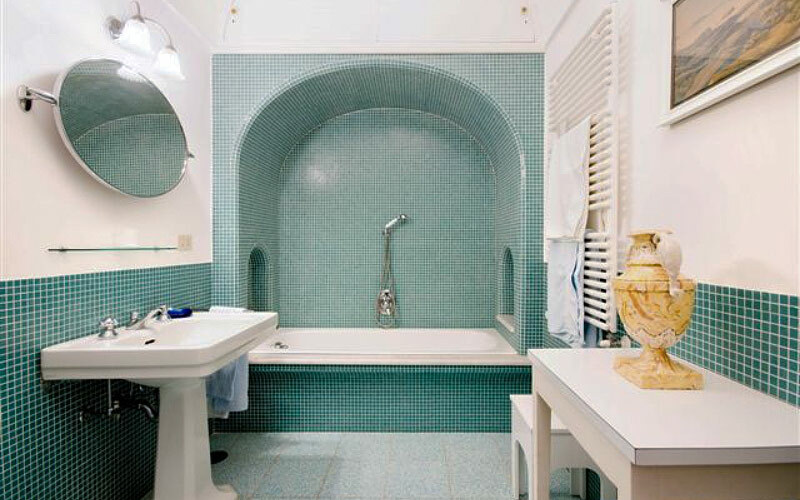 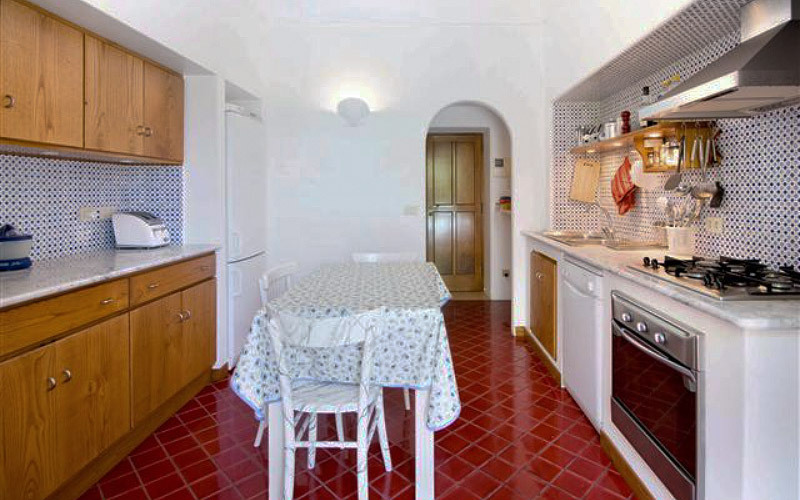 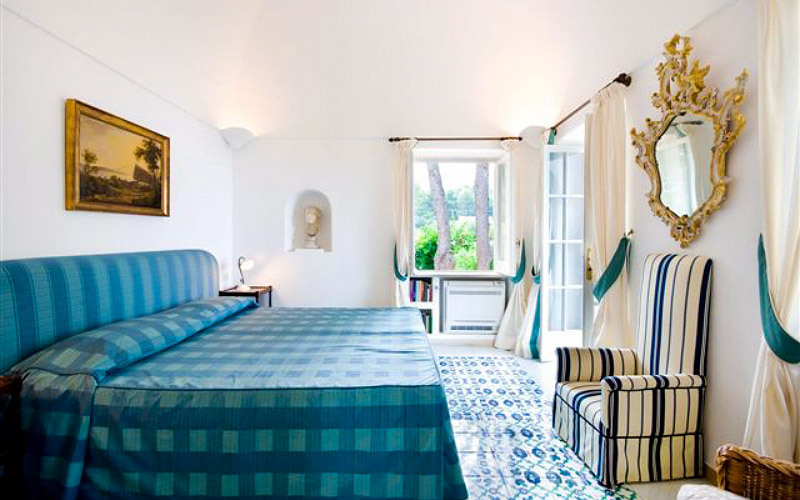 Inside the villa, brightly colored majolica floor tiles, crisp white walls, antiques and statues create a living environment typical of Capri's most prestigious private homes. 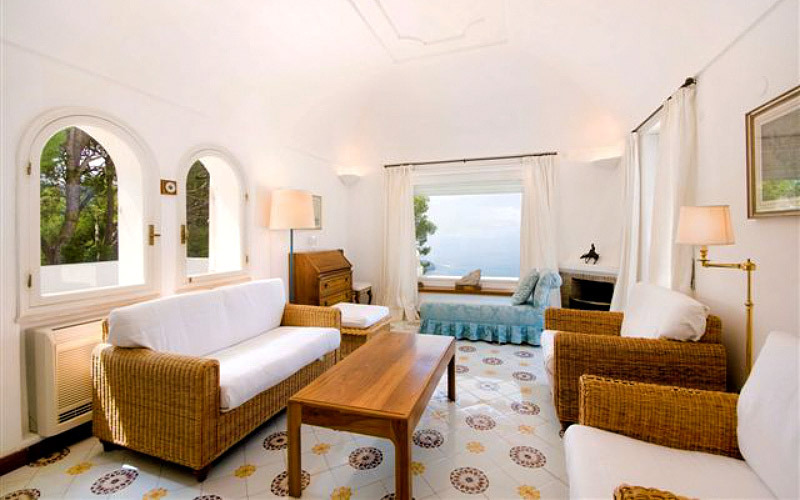 From the sitting room, guests access the three ground floor bedrooms, each of which has its own ensuite bathroom. 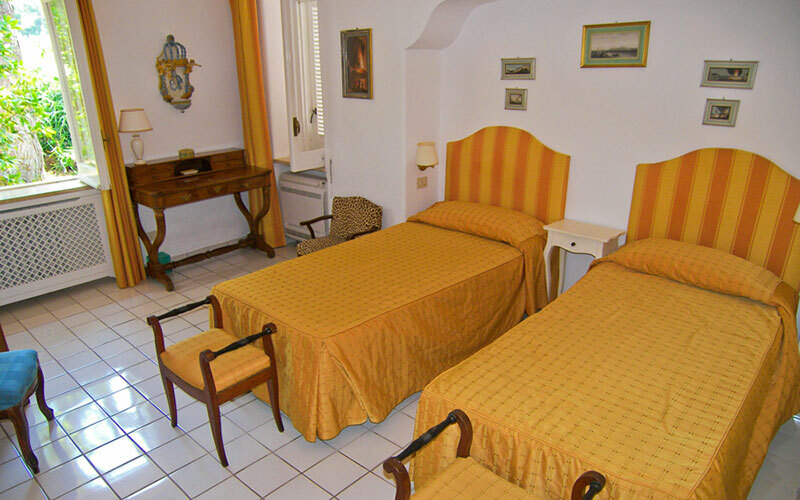 There's an additional room with bathroom for staff next to the kitchen. 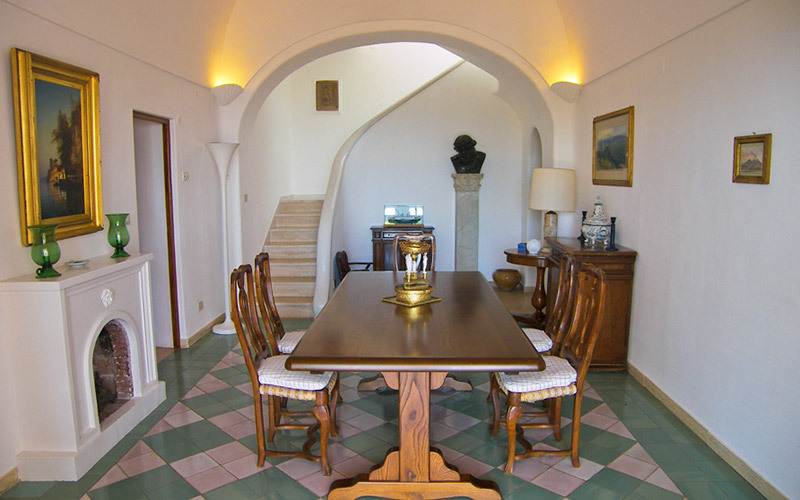 An attractive marble stairway leads up to the second floor of the villa and the master bedroom with majolica tiled bathroom and marvelous sea views. 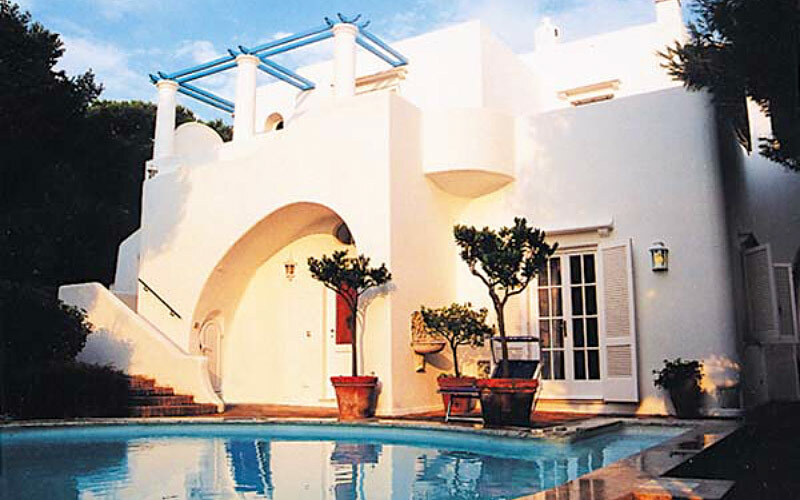 Abundant in Mediterranean plants and pine trees, Villa Alexander's garden, complete with circular swimming pool and the white stone benches typical of Capri, is the ideal place to in which to relax and enjoy the peace and quiet of this part of island.